Ali Cross is an insatiable writer and organizer, heading a community of writers through her Ninjas Write Website. Her novel, Become, is coming out on 11/11/11. I’ve recently become involved with this community via online chat and other methods, and I find their company to be valuable to me. I’ve already begun to make some really cool friends, and get to know some writers that have great advice and support to offer. Today she has been kind enough to host my blog on Outlining, which I hope will be useful to writers getting ready to do NaNoWriMo this year. The link can be found here. I asked Ali to host this blog and, to my surprise, she agreed. You can judge for yourself if you think she made the right decision. If you’re a writer, consider stopping by the dojo and signing up, as well as following on twitter to keep up on the next upcoming Ninja Chat! Step 9: Take each line from the spreadsheet and expand it into a multi-paragraph description of the scene. Put in any cool lines of dialogue you think of, and sketch out the conflict. Step 10: Sit down and start pounding out the real first draft. This stage is incredibly fun and exciting! Every writer is different. But for those of us who need a simple outline, for the sake of making sure nothing is missing in our story, I’ve adopted a Seven-Step Outline from Dan Wells’ Blog. I’ll give you an example of how to use this outline by plotting out a story you probably know; The Lion, the Witch, and the Wardrobe. I’ll do it in the order I find most useful when plotting out a story myself. In the beginning, or Step 1 – Hook, we begin with four children that are in an awkward position in life. The country is a dangerous place due to war, and they are sent away to a safer location at the Professor’s Mansion. They are scared in a new place, with frighteningly strict adults around, anxious about their parents. At this point we have a good beginning – characters in conflict. Knowing we want to write a fantastic story involving a magical new world, we can formulate a basic ending. In Step 7, Resolution, we want the four children to develop into strong Kings and Queens of Narnia, having defeated the evil Queen and liberated Narnia from her clutches and curses, banishing the endless Winter she had brought. This is a solid enough beginning and ending, but how do we connect them? Midpoint, Step 4, connects the Hook with the Resolution. In order for the Ending to be important in any way, Step 4 involves meeting with Aslan at the Stone Table, with all the other talking creatures and other magical races of Narnia, to prepare for a last stand against evil. Now we can address steps 2 and 5 – the Plot points. These points connect the Hook to the Midpoint, and the Midpoint to the Resolution. For Plot Point 1 we’ll have the children discovering the magical world contained in the Professor’s antique wardrobe. Now the Pinch; A pinch doesn’t stand for conflict, but rather the point at which conflicts come to a head. In the case of Step 3 – Pinch, we have Edmond betraying his own family to the White Witch. After the midpoint, Plot point 2 involves the White Witch arriving at the Stone Table to make demands of Aslan. Edmund is a traitor, and by the Deep Magic, he belongs to her. Aslan makes a private agreement with her, and we move on to Step 6 – Pinch, where Aslan delivers himself up to be slain in Edmund’s place. This puts our four children in a hard spot – everyone is looking to them for leadership! Aslan had declared them the rightful rulers of Narnia. Now they have to fight this battle on their own, as best they can. Hook – The Pevensie Children are adjusting to a new life at the Professor’s Mansion. They were sent away because of danger during the war, and they are now separated from their parents, who may be in danger even now. The house is large and foreboding, and the Professor and his housekeeper seem kind of scary, or simply strict. Plot Step 1 – Lucy discovers a world inside the Wardrobe. Her family believes she is playing pretend in order to deal with these hard times. Edmund discovers the world in the wardrobe, and meets a beautiful, frightening woman. After eating her sweets, he agrees to bring his other siblings to her. Pinch – The four siblings climb into the wardrobe to find Lucy’s friend has been captured by the Queen’s agents. Midpoint – After rescuing Edmund, the talking animals all meet Aslan at the Stone Table. Narnia is under great threat from the White Witch, who calls herself Queen of Narnia. There will be no avoiding war. Aslan claims that the four children are the rightful Kings and Queens of Narnia. Plot Step 2 – The Queen demands Edmund’s life by the rules of the Deep Magic. Having committed treachery, Edmund belongs to her. Aslan meets with her in private, coming to a private agreement. 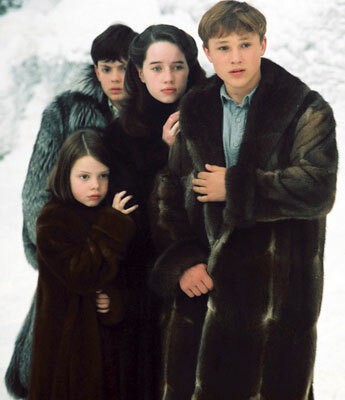 Resolution – The children lead the sentient races of Narnia against the forces of the White Witch. Aslan returns with the Pevensie girls and slays the White Witch. The neverending Winter is banished, and Narnia is Liberated; our children have saved the day. This is the basic skeleton of the story. Of course, we can include some subplots to make it a bit more interesting. As quick examples, we’ll cover two; Santa Claus gives magical gifts to three of the children, and Edmund’s struggle for redemption. Each has it’s own beginning, pinch, and resolution; Edmund commits from betrayal, repents, and ends up saving his older brother by placing himself in danger. In the case of Santa’s gifts, Lucy has been given a precious gift that, at first, isn’t as impressive as Peter’s sword or Susan’s bow – a vial of liquid that contains powerful healing traits. In the end, she saves Edmund from a mortal wound, and goes on to save many of the fallen wounded creatures on the battlefield, a drop at a time. We choose to make these subplots culminate along with the Resolution of the main plot, lending strength to it. Both subplots lead to the four children forgiving and trusting each other even more, making them a tighter-knit family unit. That’s the Seven-Point Outline, although it could be more if you wanted. A large epic fantasy, for instance, might contain several plot points and pinches before and after the Midpoint. But hopefully this gave you a good idea of where to start, in crafting your story. I am still part discovery writer, but the use of this outline is perfectly flexible for me, and still gives me the strong skeleton I need to build my story around. I hope you find it useful!